LARUSMIANI is proud to be for the first time sponsor and partner of Concorso d’Eleganza Villa d’Este for its 90th anniversary. This collaboration stems from a mutual interest to handing down values ​​such as tradition, style, craftsmanship and elegance, which have always characterized Concorso d’Eleganza in the world and, at the same time, are part of the DNA of LARUSMIANI. Concorso d’Eleganza Villa D’Este is the perfect setting for Vintage and Concept Cars which will parade under the eyes of enthusiasts, visionaries and creative geniuses of the automotive industry, who every year are able to amaze the visitors coming from all over the world for the extreme originality and maniacal care of their cars. The same attention that LARUSMIANI uses in the creation of all collections, still entirely handmade in Italy just like the founder Guglielmo Miani Sr. did 97 years ago. The winner of the “Best Show” category will be awarded with a limited-edition foldable tool kit. Tools are created in a special spark-proof beryllium alloy and beech tree wood. The tool kit case, which is entirely handmade in leather, will have the Concorso d’Eleganza Villa D’Este symbol and LARUSMIANI seagull. 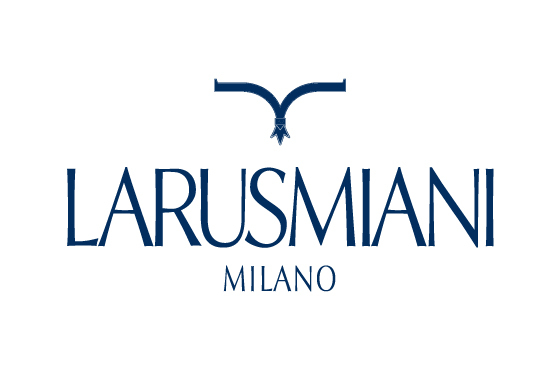 LARUSMIANI celebrates the history and the tradition of real handmade in Italy. Founded in 1922 by the talent of Guglielmo Miani Sr., LARUSMIANI today is the oldest luxury clothing and tailoring brand of Via MonteNapoleone, the beating heart of Milan’s fashion district and an authentic symbol of Italian lifestyle. LARUSMIANI combines absolute quality, elegance and unparalleled craftsmanship. Each piece is strictly handmade in Italy: the brand embodies the classic gentleman style with a contemporary twist that pursues the dictates of style and, at the same time, is the author of changes and innovations. In 2015 LARUSMIANI acquires the know-how of Aldo Lorenzi, sole CEO of the legendary G. Lorenzi Boutique of Via MonteNapoleone. The collection includes thousands of handcrafted accessories which range from knives to table objects, from smoking articles to toiletries, up to shaving kits and board games. Each year the Gentlemen’s Essentials collection keeps growing thanks to LARUSMIANI continuous research and the artisans who nowadays work for LARUSMIANI and treasure the know-how of Aldo Lorenzi. Each piece is entirely handcrafted by expert craftsmen who carefully select natural materials, creating a blend of form and function which perfectly fits with the artisanal bespoke taste, authentic craftsmanship and attention to details typical of LARUSMIANI.